A well-equipped Bug out Bag (BOB) must contain all the essential items. There are many specialty items each with a specific application. If you were to package each of these items, some of which are bulky, I’m sure you will run out of space. A clever way to go about it is to pack items you can use for more than one application. These multipurpose items will save space. So, you can pack all the necessary items without having to go for an unnecessarily bulky BOB. This way, you will be a smart prepper. You will not lack anything to make it through the face of a disaster. No prepper can survive without a survival knife. Some have referred to a knife as a survivalist’s best friend. You can use it for nearly anything. It’s necessary for preparing food, bushcrafting and taking care of medical emergencies. Among the common uses of a survival knife are striking a Ferro-rod to start a fire, making splints for emergencies, and making feather sticks. A knife is also invaluable in building a shelter and harvesting vegetables. This may surprise you but that dental floss can do multiple things. The reason behind the versatility of dental floss is its construction material. Most are made of nylon. Dental floss forms a great fishing line. You can even turn it into an effective firestarter. It cuts soft food such as cheese with ease. You can stitch torn clothes with this multipurpose material. The tool was originally designed for repairmen and handymen. Preppers had an eye on it because of its extreme versatility. A multi-tool is so-called because a single unit includes most tools. All of these component tools are necessary for survival. No serious survivalist can pack a bug out bag and fail to include a multi-tool. It has so many applications. It is a perfect replacement for a knife, a saw, and a can opener. You can use it to clean game, cut wood, harvest plants, build shelter and cut a rope. It also comes in handy as a self-defense tool if there is a need. Most feature folding design that will save you lots of space in your go-bag. Shemagh is sometimes referred to as tactical scarf. Traditionally, people from the Middle East wore it to protect them from dust and wind. It also protected them from other conditions associated with extreme environmental elements. Some people still use it for that purpose. However, it is a prepper’s most valuable multipurpose item. You can use a shemagh as a blanket to offer you protection from elements. Alternatively, you can use it as a pillow. Or you can turn it into a handy pouch to help you store your valuables. It can also be a good replacement for a towel or filter for dirty water. In case of a medical emergency, a shemagh can act as a sling, tourniquet or a bandage. Duct tape is one of the most versatile items you can have in your bug out bag. It may not occur to you but a duct tape could fix just about anything. In fact, you can use it fix anything from ripped jeans to painful blisters. Even more amazing is that you do not have to pack an entire roll. You can simply wrap a small portion around your flashlight or even water bottle to save space. First, duct tape is highly flammable. This means you can use it as tinder to help you start a fire. The tape also serves as a great alternative for an adhesive bandage. You can use it to secure splints. In the most extreme disaster cases, you can use it to seal off puncture wounds in the chest. Most people underestimate the potential of safety pins as multipurpose tools. You can pin them on a gear within the bag or outside the bag. Use them to secure bandages, torn clothing or splints. What about refashioning them into awl, needle or fish hook. They are all over your kitchen pantry. But, do you know how versatile plastic bags can be? You can use them as a poncho, water container or as a carrying container. You can wrap it around your water sensitive materials. This is because plastic bags provide excellent insulation against dampness or water. An interesting use of plastic bags is they can serve as a pillow. To make a pillow, simply stuff soft plant leaves then close the mouth. The versatility of plastic bags promotes the saying that a man’s garbage can be another man’s treasure. Tarps can be defined as lightweight materials that are versatile alternatives to tents. When you use it as a shelter, it will provide you with formidable protection from the elements. It is flexible enough to allow you to customize and configure in accordance with your needs. In case of a medical emergency, you can use it as an improvised stretcher. Paracord offers the best when it comes to cordage you can ever have in your bug out bag. To appreciate the strength, the 550 Paracords have a minimum of 550lb tensile strength. Such strength can withstand even some of the heaviest tasks in a survival situation. It is, therefore, a perfect replacement for ropes and certain First Aid items. You can use paracord to build a shelter, climb or descend steep slopes and build a snare. If you did not carry a clothesline to hang wet clothes you can use paracord. Most women would carry a hygiene kit with tampons or sanitary pads. With such, you will not need to carry any bandages or tinder. Tampons are lightweight, sterile and individually packed. They are highly absorbent and therefore can be used as makeshift bandages. Because of their lightweight material and design, tampons are extremely flammable. That’s why there are great as fire starting tinder. Even more interesting is that you can use a tampon as a makeshift water filter. There you have it. 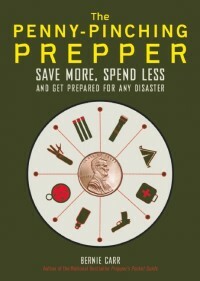 As a prepper, you must be smart in organizing your bug out bag. For you to pack the maximum number of essential items, you must come up with ingenious ways. The best way is to pack multipurpose items such as the ones we have discussed. You will be amazed by how much space you saved with after packing your BOB (if you’re not in quite as much of a space crunch, Gear Lobo has some great reviews and comparisons on other outdoor gear). I’d add zip lock baggies, well constructed ones, with duct tape edge reinforcement for longevity. Hammock – bed, rope, gill net, container, chair – so many things from a softball sized object. Anonymous, Yup, freezer baggies reinforced with duct tape and hammock- these are great additions! Thanks for the comment. Hi Illini Warrior, Binder clips are so useful! I keep them around the house for all the uses. Good addition. Thanks for the comment! Add a dry sponge to the list. This is really great for picking up dew off plants or a shallow spot of water. Readied about this from a Navy pilot shoot down in Balkans and he used a sponge that his wife had added to his kit for collecting drinking water as he evaded till rescued.